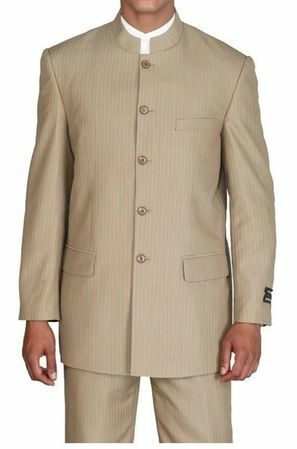 The fine stripe on this tan color Mandarin Chinese style collar suit has that unique style and ability to let you stand out from the crowd in a stylish way on Club night. Featuring a fine stripe fabric and pleated pants. Made of poly/rayon fabric.